Not many world leaders recognize South Ossetia as its own nation. And fewer still managed to join the petite Caucasus enclave for its gala celebrations of that recognition. The breakaway region had leaders like Syria’s Bashar al-Assad and Venezuela’s Nicholas Maduro down as maybes for the August 26 event. But not even Russia’s Vladimir Putin, the region’s main benefactor, showed up for grand celebrations of the 10th anniversary of recognition by Russia. The absence of Russian leadership must have been disappointing, as the region went out of its way to celebrate its undying friendship with Russia. The de facto capital Tskhinvali was festooned with the Russian tricolor and a grand spectacle was held to show its appreciation to Russia and Putin, the champions and saviors of the embattled enclave. “Thousands of costumes were sewn for the performance,” wrote Russia TASS newswire in a glowing report from Tskhinvali. The festivities, and the Russian coverage of it, harkened back to the Soviet era, when the empire’s many provinces would celebrate Moscow’s role as a leader, with praises sung to whomever the Kremlin’s chief tenant was at a time. 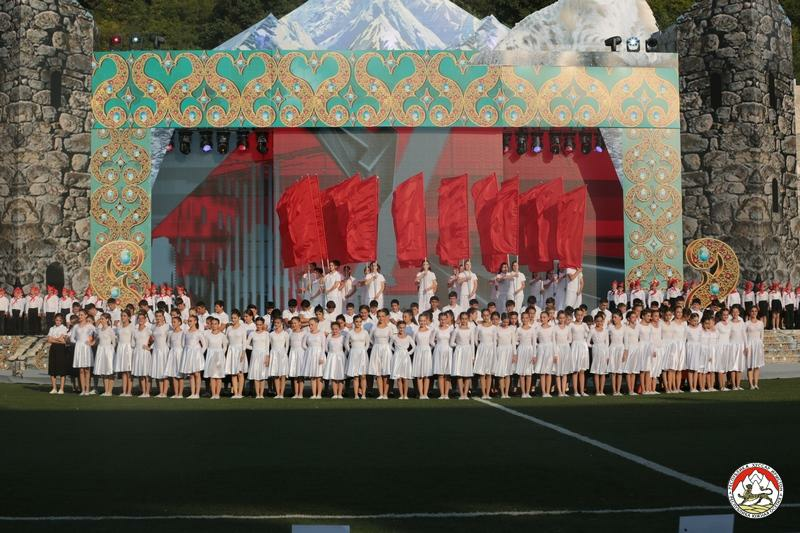 As it was then, scores of children took part in the festive performance in South Ossetia. At the festivities, though, Russia was represented by a decidedly lesser light than Putin: Vladislav Surkov, the president's aide. In Abkhazia, where the de facto leadership held a more modest celebration, Russia was represented by a member of the Russian Duma, Olga Timofeeva. The celebrations were viewed with dismay from Tbilisi, which can do little other than appeal to international public opinion while they watch Russian troops gradually build a wall around South Ossetia, physically carving it out of Georgia.